Although, in 2019, the Open-Air Museum itself has only witnessed 61 springs, Bokrijk's history reaches a bit further back in time. ‘Buscurake’ was first mentioned in 1252. However, it would take until 1938 before the Province of Limburg became the owner of the site and 1953 before the plans to build an Open-Air Museum became official. Read more about the milestones in the history of Bokrijk, the Open-Air Museum and the park. Bokrijk, the Open-Air Museum and the park. On 9 March 1252, Arnold IV Count of Loon and Chiny sold a forest, located between Genk, Zonhoven and Hasselt, to the Cistercian Herckenrode Abbey. This forest was called ‘Buscurake’, an area rich in beech trees. The Abbey built a farm that was run by the brothers of the Abbey during the first two centuries. During the second half of the 14th century, Herckenrode Abbey rented its ‘grangiae’ (farmstead) to ‘halfwinnen’ (tenants who worked for half of the production). 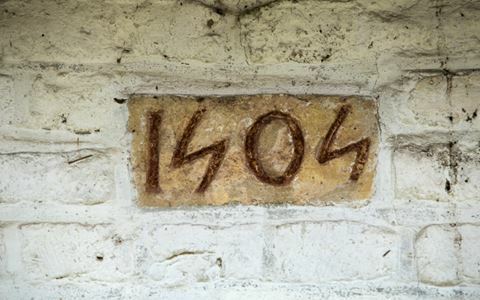 In 1447, Bokrijk became an ordinary leased farm, and the Abbey remained its owner until the French rule. Around 1719 this area ‘with a beech plantation along the water’ was first named ‘Bouchreyck’. On April 22 1797, Bokrijk was sold for 90,000 francs to a resident of Maastricht. Later, the domain came into the hands of Rittweijer, the director of the Société Génerale de Belgique. Until 1859, his son-in-law, the Count of Coghen, then Minister of Finance, lived at the estate. On 21 March 1938, the company known as S.V. Middenkredietkas van de Boerenbond (Central Credit Bank of the Farmer's Union) sold Bokrijk to the Province of Limburg. The major promoter of the purchase was the then Governor H. Verwilghen. For several years, he had the idea of combining a nature project with a cultural one. On 6 October 1953, the Permanent Deputation of the Province of Limburg, under the dynamic impetus of governor Louis Roppe, established an Open-Air Museum in Bokrijk. That was an important and historical decision. The post-war industrial revolution and the increasing prosperity of the fifties threatened loss of the traditional residential landscape of Flanders within a short period. The first conservator was Dr Jozef Weyns (1913-1974), who used a scientific approach to the expansion of the museum. In 1958, the Open-Air Museum opened its doors to the first visitors. According to some sources, it was not coincidental that the opening occurred in the same year as the World Exhibition took place in Brussels.